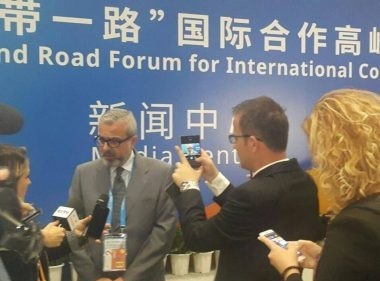 At the Forum for International Cooperation "One Belt, one Road", Albania and China have signed a memorandum of cooperation. Transport Minister Sokol Dervishaj and Chinese Deputy Director of the Urban Development Committee and Reformation He Lifeng have signed the 7-point memorandum. This agreement aims to strengthen economic cooperation in the field of transport, infrastructure and finance between two countries. "Albania is an important part of this process. The memorandum marks a step forward in economic relations and infrastructure development between the two countries. We expect concrete investments from the Chinese side in infrastructure, maritime and rail transport," said Minister Dervishaj.